When Wake County residents think of growth, their thoughts can often be separated into two camps. While some think of new restaurant openings, job creation, and opportunity, others think of longer commutes, shrinking backyards, and fewer familiar faces. While growth brings its share of benefits and challenges, the reality is that Raleigh is growing more rapidly now than at any other point in the city’s history. The question is no longer whether we want growth, but rather, how to be best poised to accommodate the growth of the region. 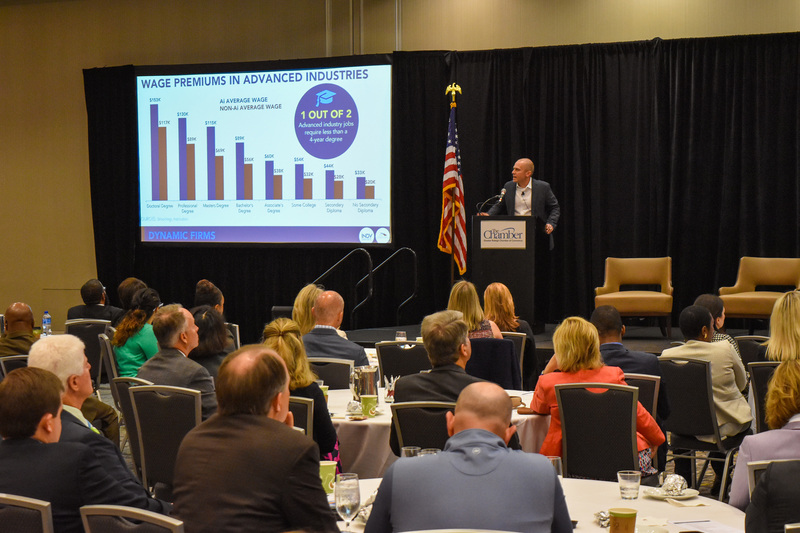 As part of WCED’s annual Economic Development Forum, Raleigh Chamber President and CEO Adrienne Cole was joined by Indy Chamber President and CEO Michael Huber and Courtney Ross, chief economic development officer of the Nashville Area Chamber of Commerce. 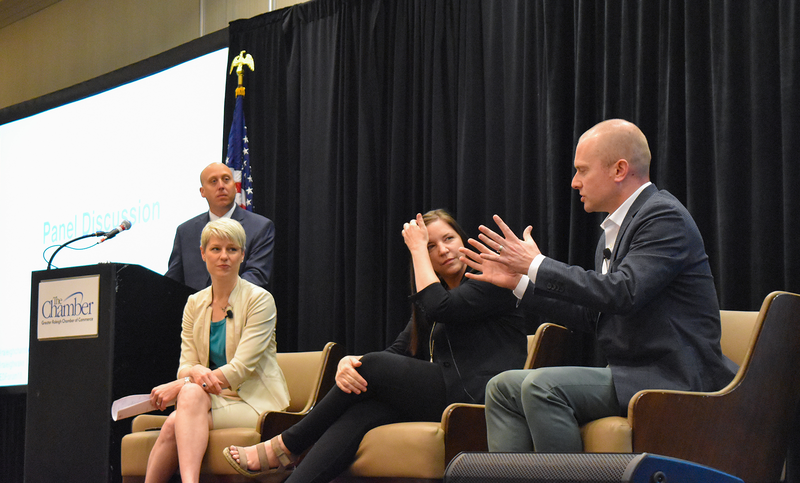 As peer cities each experiencing rapid growth, the three leaders discussed how each city has handled the challenges that come with consistent growth. Courtney Ross noted that Nashville’s growth had brought to light similar problems. “We’re doing great as a city, but not everyone is benefitting from this prosperity,” she noted. As Nashville’s population continues to climb, the homelessness rate and rate of those living in poverty have crept up as well. During a panel discussion between the three leaders, each agreed that the potential pitfalls of growth can be combated if addressed early on. Citing examples of cities that are facing costly programs to undo mistakes of the past, Huber, Ross, and Cole all agreed that the time to act on community issues was now. Danya Perry, equitable economic development manager and the newest member of the Wake County ED team, was able to share his role and insight into how he plans to promote opportunities for all. Perry shared with the audience his mission is to focus on inclusive economic mobility, small business and entrepreneurship support, and talent and workforce development. His role is aligned with the mission of the Chamber and reinforced Cole’s message of equitable prosperity. As demonstrated by the panel of Chamber leaders gathered on stage, the speakers emphasized that no one city should do it alone. By relying on peer cities to share best practices and working collaboratively to make sure that no one gets left behind, the next wave of booming U.S. metro cities will be poised to make their communities a place where everyone can thrive. Join us for the next event on this subject, the inaugural Diversity, Equity, and Inclusivity Summit will take place on August 22. Event information and registration will be provided mid-summer. Thank you to everyone for participating and to our many sponsors for making the forum possible.